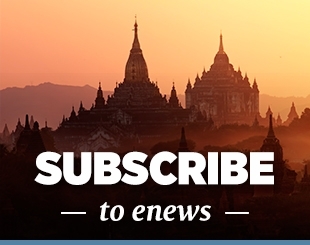 Fun for the entire family! 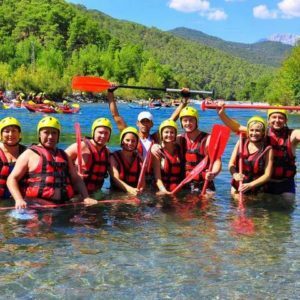 Alanya River Rafting tour takes place on the koprucay river in Koprulu canyon national park known as one of the best rafting rivers in Turkey. Choice of raft or kayak. 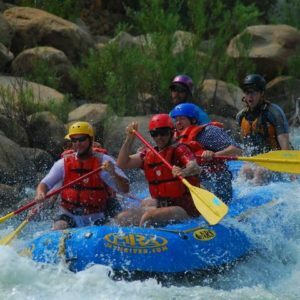 Beautiful, great rapids, a wonderful riverside lunch, super fun and appropriate for everyone this is our most popular day trip! After we arrive to the rafting area, we make sure that we wear for our safety “life jackets” before we get on the river boat. 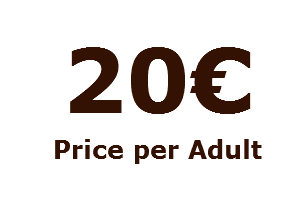 Boat type’s are for ( 4 – 8 – 12 pax ) and a experienced guide will be asist in the boat during the exciting tours ( backside in the boat ). Water streams is not risky in köprü river. 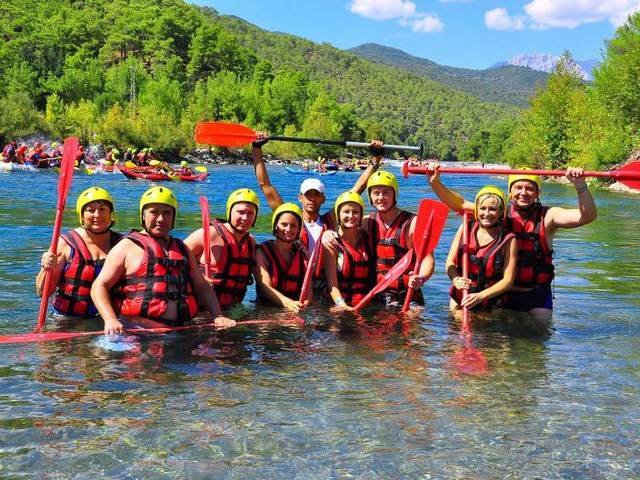 Beşkonak, cool water comes grom magic legendary Tourus mountain. River lenght is 14 km and it takes 4-5 funny hours ( a big compatition with other international tourists boat) with adventure on the cool water and entertainment. 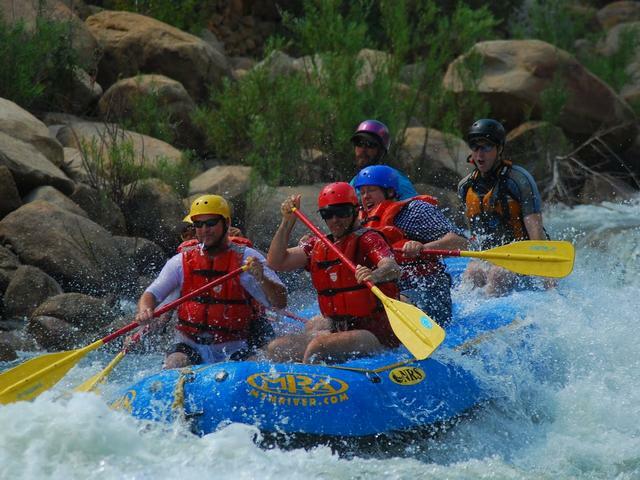 After unforgettible times we will have lunch during the rafting tour. 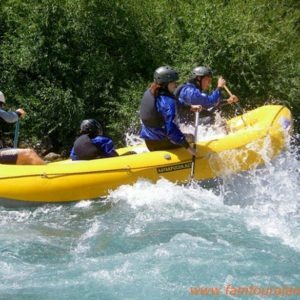 All necessary equipment for rafting sport is supplied by us. 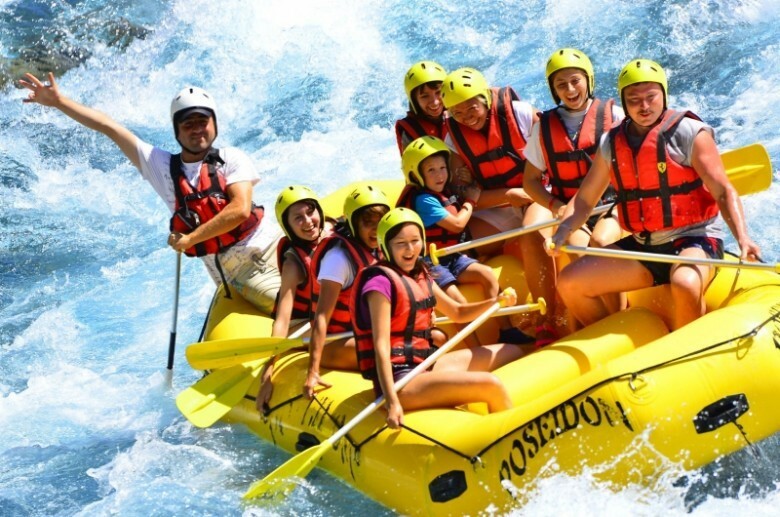 Children under the age of 5 and pregnant women are not allowed to travel in the raft. You sould bring your swiming suites,water shoes,sandel ext,bikini,towel,sun cream,one more t-shirt. 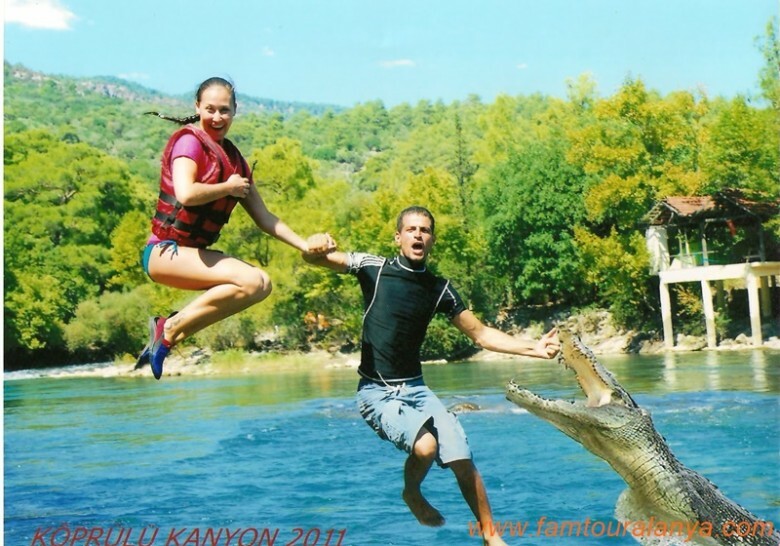 You sould prefer suitable shoes that doesn’t slide easily in the water.You can also rent it from us. 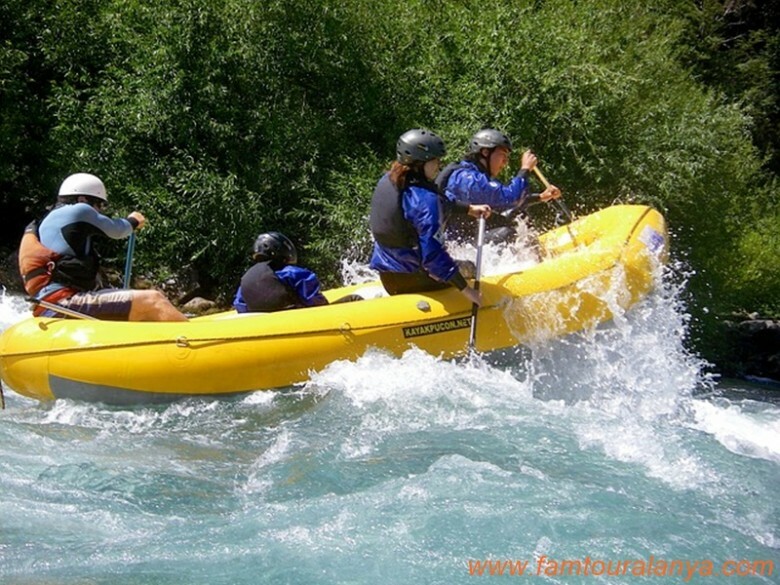 The only disadvantage for the rafting tours from Alanya is the long distance. 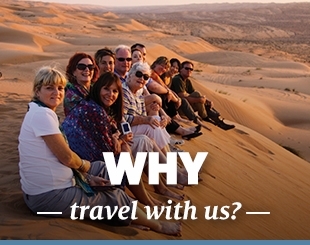 However,We use comfortable and air-co buses for our transfer to make this journey easier for our guests. Transfers from the hotels at 08.30 am. Arrival at Koprulu canyon and briefing regarding the river rafting by professional guides. 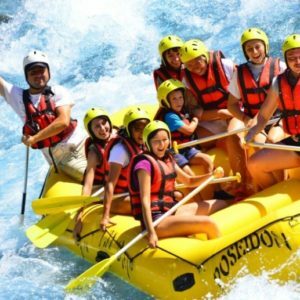 Getting kitted out with your rafting equipment. 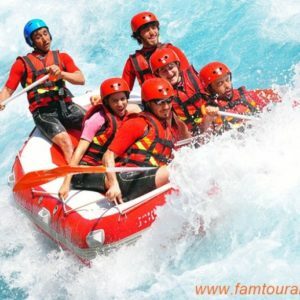 Starting the first part of the rafting experience 10 km all supervised by our professional guides. Lunch and swimming break at our resturaunt by the river. After lunch we commence on the final 4 km of our river rafting adventure. these will be available for you to purchase as a keepsake of your adventure if you wish to do so. 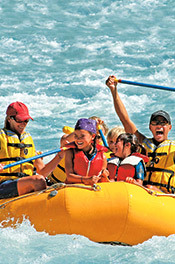 Disclaimer: All river rafting tours are undertaken on the responsibility of its participants. We do not assume any responsibility for accidents which are caused by its customers or can be traced to their own actions. Participants have to sign a waiver before undertaking all trips stating that they realize that all outdoor activities carry an inherit risk. 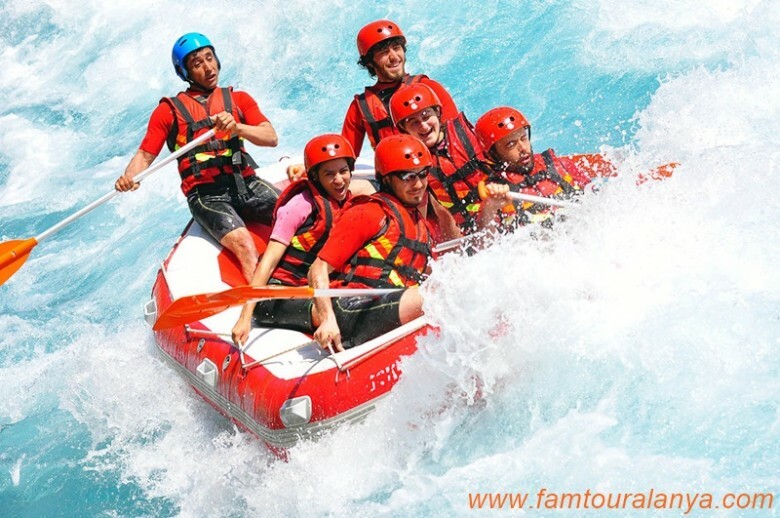 We were with Fam Tour on two trips (Fishing, Rafting). We came back very happy and satisfied. Way of carrying out of these events shows that the organizers do their work not only professionally, but - what is very important - with great passion. Thank you very much halil see you next year.